Started in 2007, Grandma Mae’s was formulated by Dr. Martin Glinsky (original formulator of Innova) and Dr. Tom Willard. The food is manufactured at certified-organic facilities in New York (Southern Tier Pet Nutrition) and in Ohio (Ohio Pet Foods). The formulas use all-natural ingredients sourced in the United States, and every batch is said to be tested for salmonella. The company is owned by NexPet, a co-operative for independent pet stores. 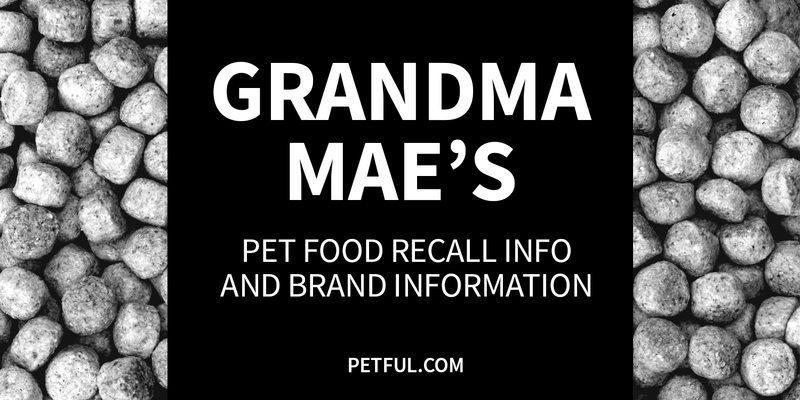 Has Grandma Mae’s Ever Been Recalled? Have You Had a Problem With Grandma Mae’s?